Another month of housing data is guaranteed to produce one thing: more arguments about where the market is going. Statistics from the Ottawa-based Canadian Real Estate Association show actual July sales were up 9.4% from a year ago while average sale price nationwide rose 8.4% to $382,373 during the same period. Given the housing market seemed to be sliding just a few months ago, the question is where is it headed next? At stake is further federal government intervention, something Ottawa seemed to do this month as Canada Mortgage and Housing Corp. tightened some mortgage lending rules. 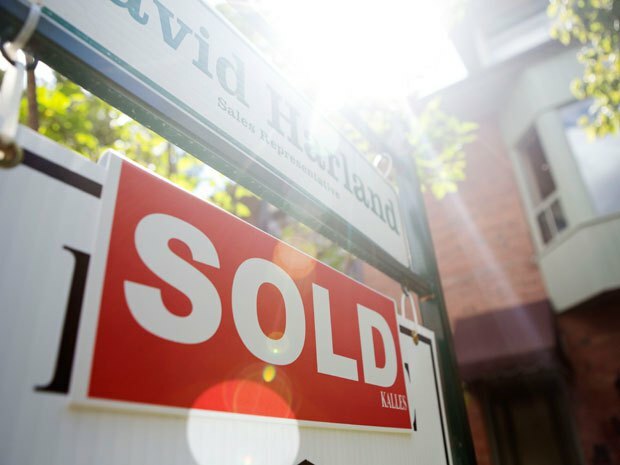 On one side of the divide you’ve got the real estate community with people like Phil Soper, chief executive of Royal LePage Real Estate Services, saying improved results for sales and prices in July are not all that dramatic by historical standards. Their opponents are the housing naysayers like David Madani of Capital Economics who has been calling for a housing pullback since February 2011 and portrays the recent bump in sales as a last gasp before the market cools for the rest of 2013.